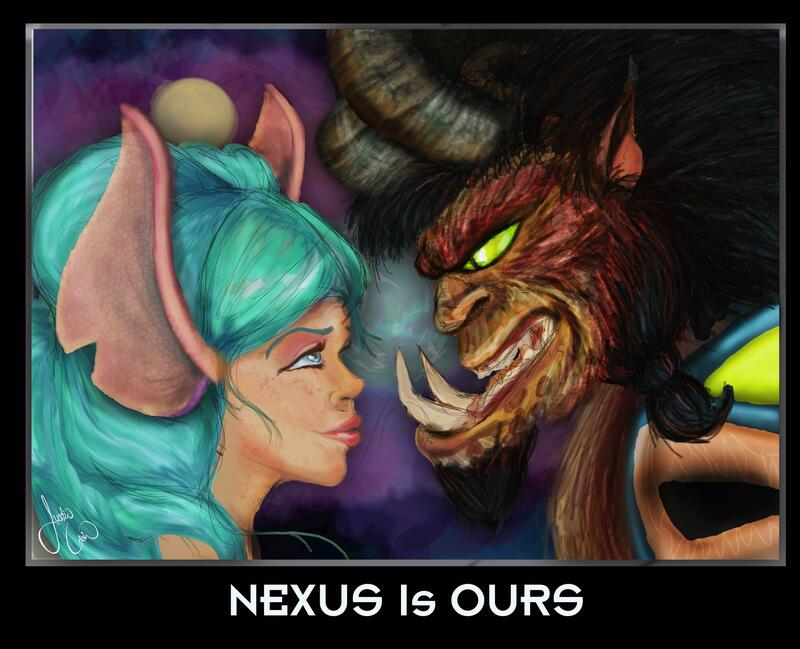 Discussion in 'WildStar Fan Creations' started by Nicodemus, Jun 6, 2013. Well I figured I'd update my Avatar, since the last one i did on my phone, on a plane. Figure I'll put more Artwork up as time goes on. Ryuubi, Perigon, Shoogli and 10 others like this. Shoogli, Silas, Dyraele and 3 others like this. Simply Amazing!! Stupid question since I'm unaware of how people make things like this, but I assume you use a tablet type thing and some photoshop-like program to create this? Not a mouse right lol? Yep It's Photoshop and a Wacom tablet. 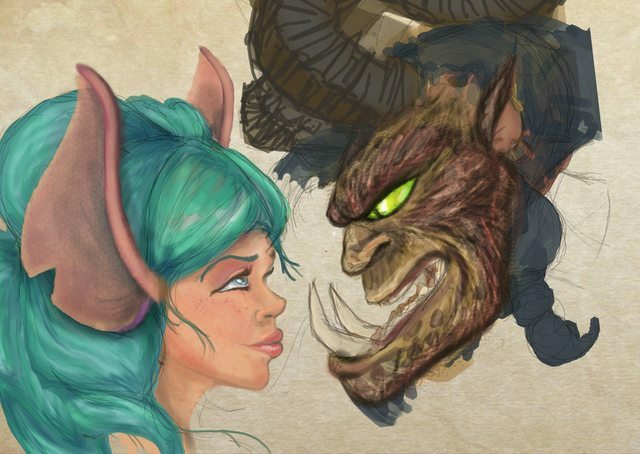 As my main job I do 3D Animation, but i have a true love of 2d artwork. I'll post an update soon. Silas, Kataryna and Dyraele like this. 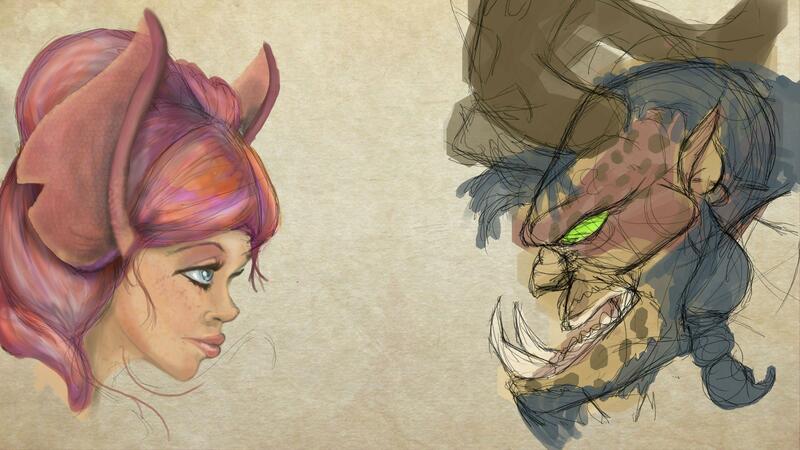 Didn't work on the VS. painting tonight, however did jump in and worked off of some great Concept work by Cory Loftis. this is a a boar like creature, the actual name escapes me... i'll fix it when I know what it is. Didn't do the grass on his back because I am going to use another program for that. dizko, ruff_ethereal, Scoriae and 1 other person like this. I just checked out your website. You're quite the well-rounded and varied artist. Nicodemus and Kataryna like this. Congrats on the Post Dysp, does anyone know the name of the boar thing above? also is there a way to tag the thread with Art? like other's sketchbook threads. Ee! 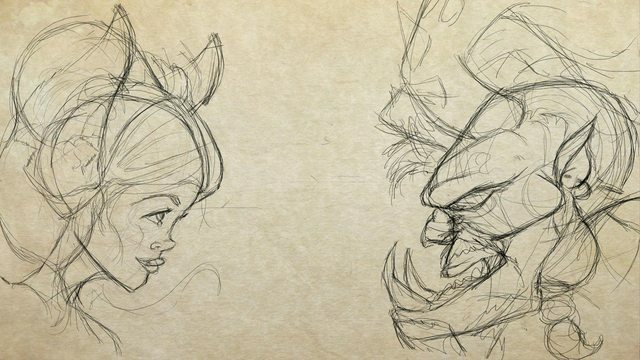 I can't wait to see the finished Vs. one! You're so talented, dang! Worked alittle on my Vs. Image Got the tension down better. Not sure if i like where the Draken is going. The boar creature is exquisitely detailed, and I love the avatar. Well played, Nico! Aurin ready for battle - Quick sketch, loosing up a bit. Dysp and dizko like this. The curled hand on the right (her left) is a bit odd, though I shouldn't complain as I know how hard hands are to draw. The rendering on the chair though is pretty damn tight. Nice work bro. And here is my new one, not quite finished waiting on some Confirming, has a spot for Server and other things.